Clothing/Jewelry Description A green coat, two dark-colored shirts, blue jeans and a baseball cap. Distinguishing Characteristics Caucasian female. Brown hair, green eyes. Adams wears lightly tinted wire-rimmed glasses. Her ears are pierced. 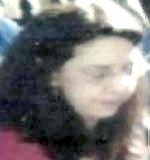 Adams was last seen on March 11, 2007. That day she left her home in Aliquippa, Pennsylvania and went to the Mountaineer Gaming Resort in Chester, West Virginia. She used her credit card there, then apparently left at 4:00 a.m. Security cameras showed her leaving the parking lot at 4:31 a.m., and she last accessed her cellular phone voice mail at 4:35 a.m.
Adams never arrived home and has never been heard from again. Her red or maroon two-door 2005 Suzuki Forenza with the Pennsylvania license plate number EDT5587 remains missing. 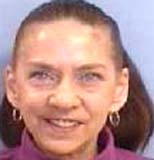 Her cellular phone and credit cards haven't been used since her disappearance. Adams didn't usually leave without warning and her family doesn't think she would have abandoned her dog, whom she cherished. Her brother, who lived with her, stated she had a gambling problem and that he had repeatedly asked her to stop spending money at the casino, but she kept going and saw gambling as her favorite form of recreation. Adams worked two jobs, one as a cashier at a retail store and one as a teacher's aide for disabled individuals at the Allegheny Valley School. Her case remains unsolved. Pennsylvania police are investigating. Updated 4 times since October 12, 2004. Last updated August 15, 2017; distinguishing characteristics and details of disappearance updated.